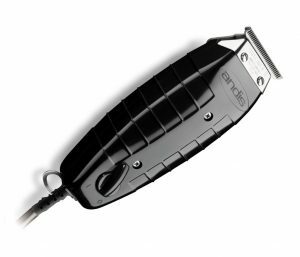 During August 2016, Andis released their new barber tool which does not appear to be extremely stylish and sleek but works like a charm as well. The name is the T-Outliner BLACKOUT. It is one of their new released product and it is going to be your favorite if you are a professional or you want it for personal use. Andis is famous for manufacturing grooming tools for barbers all over the world. They are experts when it is about corded beard trimmers. You can also get it for personal use because it will let you get the salon look at home every day. The company believes that is going to be one of the best one in the country It is also suitable for giving it as a gift to your loved one. It comes in a box and the design and color scheme of the device makes it look like the perfect present for any man you admire. It is made in America and comes with the power you will need to make it work for hours. The best part is that it comes with a warranty of one year. Most beard trimmers do not come with warranty and even if they do, it is for a month or sixty days. If you want them in your country, enter their website and they will get to you. They serve more than 90 countries. If you want an American made product with magnetic and ultra-powerful motor, pick this one. Even if Andis is not your favorite, you will like this tool from them. It is lightweight weight only 0.7 pounds. It is 5.5 inches long which makes it easy to fit into your palms. The motor type is magnetic and it makes 7200 strokes each minute. The gift box is 8 inches by 3.9 inches. It is suitable for dry shaving, fading and outlining. Andis beard trimmers allow its users to design their facial hair any way you like. When you have this trimmer, you can carry out any facial hair style you wish. There are no limitations. If you are in search of a high-quality trimmer, this is the one. You can separate poor quality from high ones by looking at their performance. A regular one will get hot after usage. Since this one is for professional use as well, you can use it on many clients for hours without the device heating up. Therefore, if you use it at home, the grooming session will be a cool one. The device takes care of the skin. Many users have negative experience with other tools where they ended up with breakouts and ingrown hairs. With this one, there will be no such issue. There is no need to worry about charging it and to make it run in full power, you have to plug it in.